Between credit card debt, car loans and student loans, deciding which one to pay off first can be a challenge. But you got to start somewhere, right? There are no strict rules when it comes to setting up a debt payment plan but there are certain strategies to help you save more money over time and get out of debt as quickly as possible. Today, let’s talk about the different debt payment strategies to consider depending on your goals. Paying off debt in order of interest rate. From a financial perspective, it’s smarter to pay off the debt with the highest interest first, to save you more money in the long run. 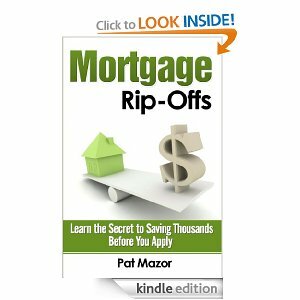 However, this can be discouraging for some people since this will be most likely your biggest debt and will take a little while before you pay it off completely. Paying off debt in order of balance. 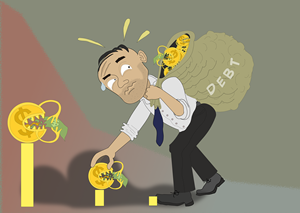 That being said, you can consider the other side of the coin – paying off first the smaller debts that you can finish faster. The satisfaction from wiping off a debt will definitely give you the hope and motivation to stick with the plan. 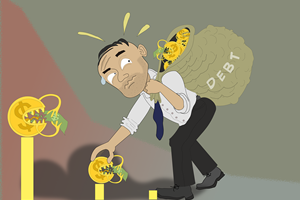 Paying off debt in order of credit limit. Lastly, you might want to consider paying off credit cards first and prioritizing those that are near their credit limit if your goal is to improve your credit score, which is important if you want to qualify for lower interests in the future. So these are the three considerations to ponder on when considering which debt you need to tackle first. Regardless of which strategy you choose, the key is to stick to your plan. What’s important is that you’re doing something instead of just letting your debts pile up and accrue more interests. Just be patient, persevere and trust the process. You can do it!